"Health care delivery relies on communication and relationship to bring about co-ordination of care and quality for the patient experience" - C Lally -2013. 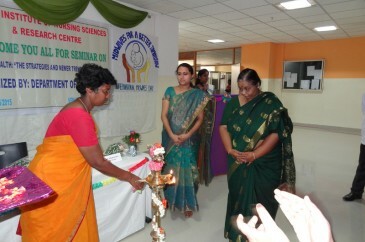 Department of nursing administration aim is to provide new efficient and effective managers and leaders in health care. 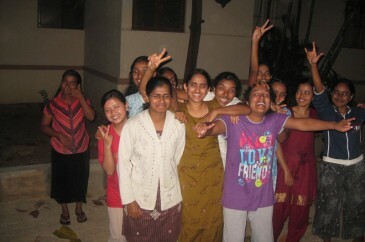 The students will develop basic skills and able to function effectively as a nursing administrator in the hospital and community. As a part of INC and R.G.U.H.S curriculum requirement, the department is keen in organising workshop, seminar for the staff nurses and student nurses in co-ordination with M.Sc. 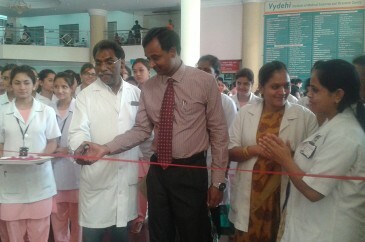 N, PC.BSc Nursing student and the nursing superintendent of vydehi hospital. 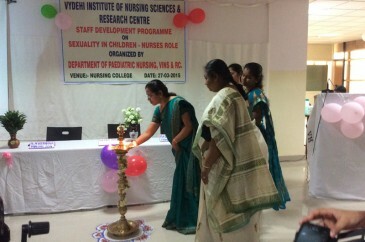 Induction programme and orientation programme for the new staff nurses will be conducted at last week of every month by the department faculty. 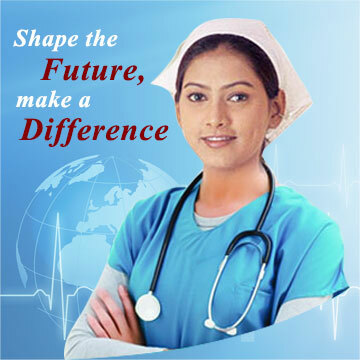 Organising two workshops, and two seminar per year on current problems and innovations for the staff nurses will be conducted in coordination of nursing superintendent of vydehi hospital. Staff development programme and CNE programme will be conducted on every Friday of the month in order to update the knowledge of the student nurses and staff nurses in the field of nursing. 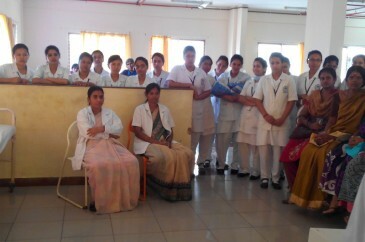 Providing information about the objectives, working pattern and organizational function to the staff nurses and student nurses of various institution who are visiting us. 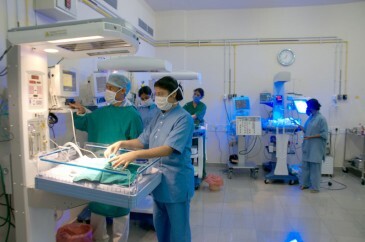 Today a, all nurses are managers, whether you work on a medical floor in an acute care hospital , in a critical care unit , an ambulatory care clinic in home care, you must deal with staff, including other health care personnel who work with you and for you, and you must use resources wisely.